The Bournemouth Laser & Skincare Clinic offers a range of successful acne treatments to leave your skin clear and blemish free. 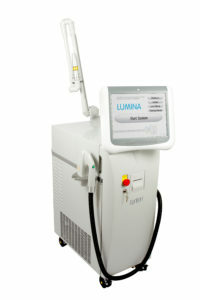 Acne can be effectively treated with Intense Pulsed Light alone or in combination with other clinical treatments. Intense Pulsed Light treatments greatly reduce the number and severity of active lesions, lessening the inflammation and frequency of break-outs. The number of treatments necessary varies from person to person, but typically 6 Intense Pulsed Light and 6 exfoliating treatments will result in a significant improvement. Intense Pulsed Light treatments should take place fortnightly with a light peel in between Intense Pulsed Light sessions.